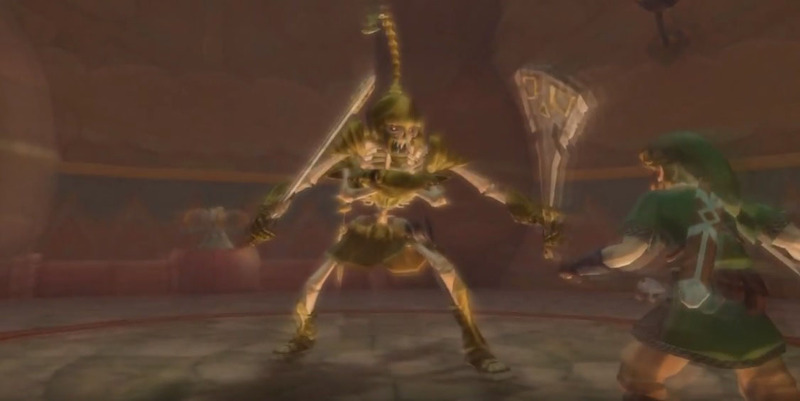 The Stalmaster is a Mini Boss in the Ancient Cistern and Sky Keep dungeons of The Legend of Zelda: Skyward Sword (2011). 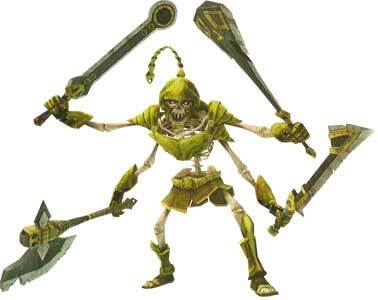 The Stalmaster returned also as a Captain enemy-type in Hyrule Warriors (2014) and its later ports and updates. 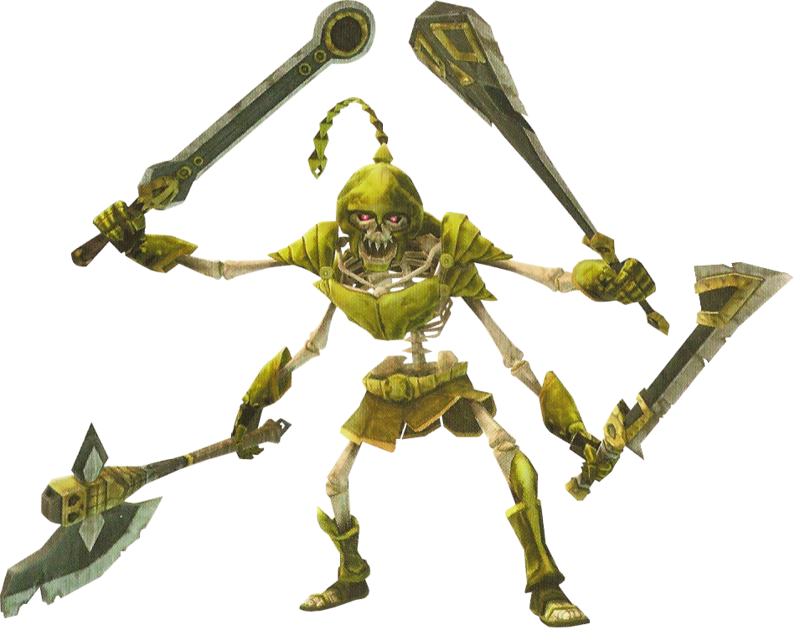 Like the common “Stalfos” enemies, the Stalmaster is a undead Skeleton, but it is a lot larger than the regular Stalfos and also has four arms, each one armed with a different weapon. 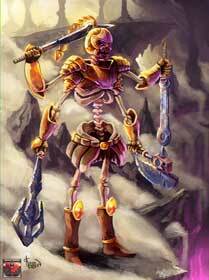 The Stalmaster was drawn for our Legend of Zelda Bestiary Project the Link’s Blacklist so far.